Depending on where you live, community college may be tuition-free. If not, explore free sources of aid before taking out loans. If you need student loans for community college, max out federal loans first. Private loans should be your last resort, after using grants, work-study, some personal savings, employer assistance and federal student loans. While community colleges provide some of the best value in higher education, full-time students must still cover about $8,000 in living expenses per year, according to the College Board. Here’s how to afford your community college degree. Can you go to community college for free? More and more states have passed laws making community college tuition-free for residents. Several schools and cities also offer programs that make public college more affordable. Be aware, though, that some programs require you to exhaust federal and state grants first, so you should still fill out the Free Application for Federal Student Aid, or the FAFSA. You may also have to pay for living expenses like rent, food and transportation and school expenses like a computer, books and fees. Use grants first. Fill out the FAFSA as soon as possible after Oct. 1, when it opens, to get access to financial aid like the Pell Grant. These grants cover much of the cost of community college for students with low incomes and don’t need to be repaid. The FAFSA will also give you access to state and school grants. If you need loans, choose federal loans first. These offer lower interest rates than private loans and come with the option to tie the payments to your income after you leave school. That can help you avoid falling behind on payments. The FAFSA will qualify you for federal loans. Some community colleges do not participate in the federal loan program. Build good credit, or add a co-signer, when applying for private loans. If you need to make up for a gap in financial aid, private loans are your last stop. Students with good credit, generally a score of 690 or higher, will get the lowest interest rates. Students under age 21 often don’t have the credit history required to get a private loan in their own names. Use a co-signer to qualify or to get a better rate; alternatively, search for private loans you can get without a co-signer. Make sure your school is eligible. 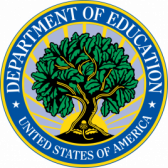 Some lenders will make loans to students pursuing associate degrees at four-year schools only. When exploring your options, make sure your community college is on the private lender’s list of eligible schools. Compare loan features. When shopping for a private loan, compare offers to get the lowest student loan interest rate you qualify for. Note whether the lender will postpone payments in case you have difficulty affording them — known as forbearance — and for how long. Prioritize lenders that will let you release the co-signer after a period of time so they are not responsible for the debt. Opt for a fixed interest rate. Fixed interest rates are a safer bet than variable interest rates because they won’t increase over time. Watch the bottom line. Use a student loan calculator to see how much you’ll owe per month after borrowing for multiple years. 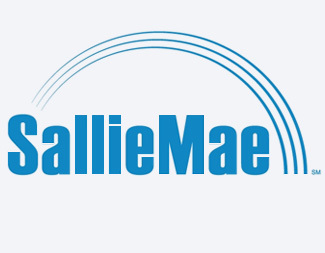 Sallie Mae also offers a career training loan for use in non-degree-granting certificate programs, which has not been reviewed by NerdWallet. Wells Fargo also offers a loan specifically for career and community college students, which has not been reviewed by NerdWallet.